Any excuse to start the perusals of festive, fancy, and all around fabulous frocks! And of course as the snow starts to thaw, come all versions of springtime frolicking, picnics, weddings, and bat mitzvahs. Silkens, ruffles, ribbons, and all forms of feminine aesthetics will be required! I'm loving the irony of the semi-virginal off white and the corseted wench vibe. And of course extra points for the layers of ruffles. Abstract FELINE and a mini silhouette, of course its Versace. 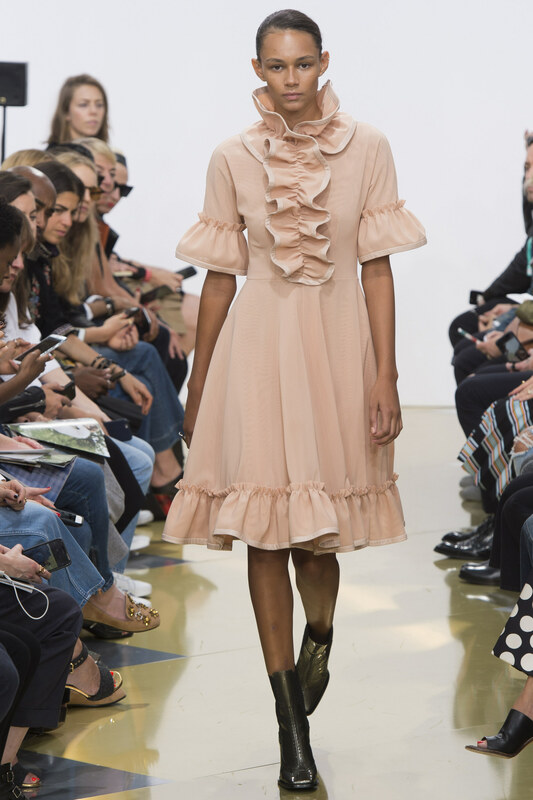 And the puffy sleeves add easy drama. And to turn this BO-HO? Just throw over bell bottom jeans. A twofer. RED and Chinoiserie, always a winning combination. The silhouette reads casual, but the vibrant color and crazy good embellishments make this soiree ready. Gn is one of THE premier jacket-meisters of pret-a-porter, but can give anyone (Oscar de la Renta, Caroline Herrera and Marchesa for starters) a run for their money when it comes to glamorous frocks and event gowns. For those who cannot abide by spray tans and shaving, just add pants to the dress! Works for me. The crayola box exploded in a sequin factory. 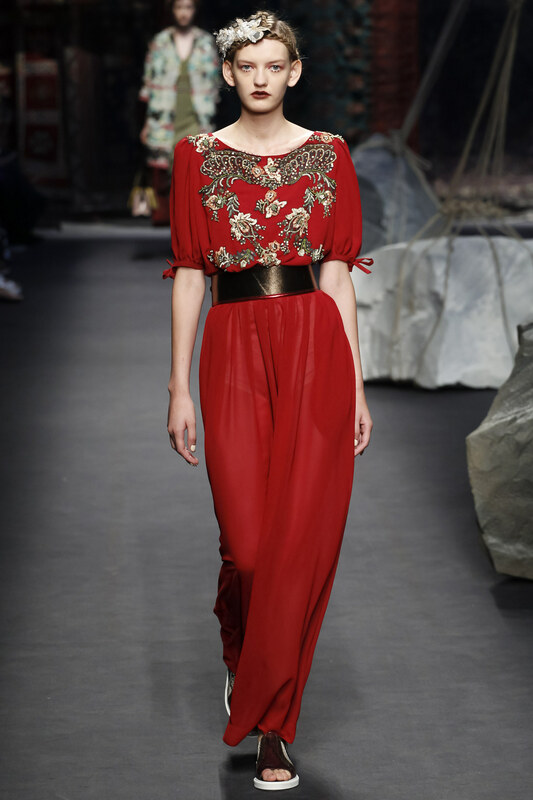 Alessandro Michele must be a happy guy, producing some of THE most exuberantly joyous collections in fashion today. MORE is definitely better. In his last collection for Balenciaga, Alexander Wang entertained with a tour de force display of underwear as outerwear. The lack of color belied the intricate luxury throughout the assembly. Calling Kim Kardashian! Some ingenue needs to break tradition with the usual gown follies and amaze with this at the next Academy Awards snoozefest. Everything about this is uniquely fabulous. 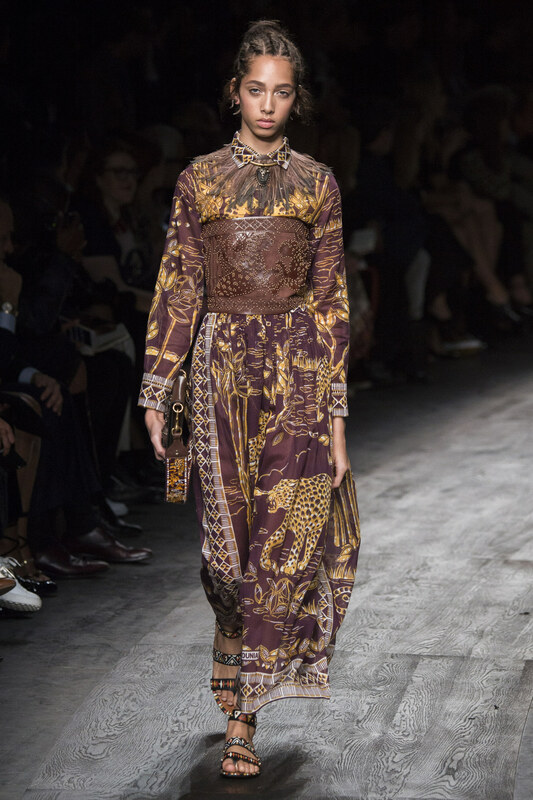 The African inspired print, the adorned WIDER than wide leather belt-corset, and the collar of feathers. ONLY Valentino....sigh. Everyone needs a healthy dose of RUFFLES. The more the merrier. 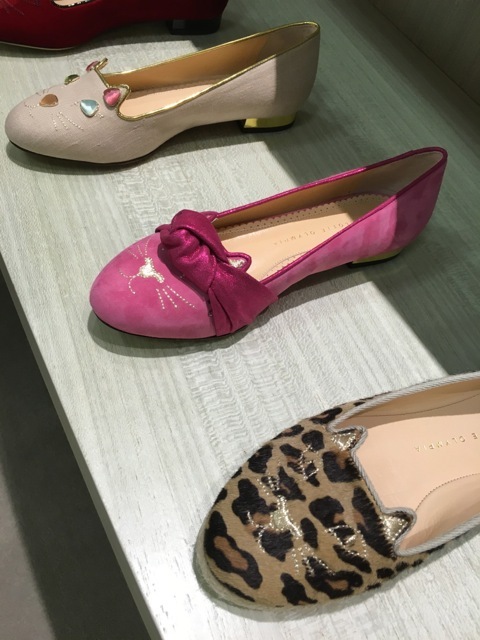 Calls for some Charlotte Olympia flats. (Saks Fifth Avenue, San Francisco). The wacky contingent. AND do I see RUFFLES? Nothing screams LADIES WHO DO LUNCH like de la Renta pastel silk faille. Flattering and lux even without any bells and whistles. 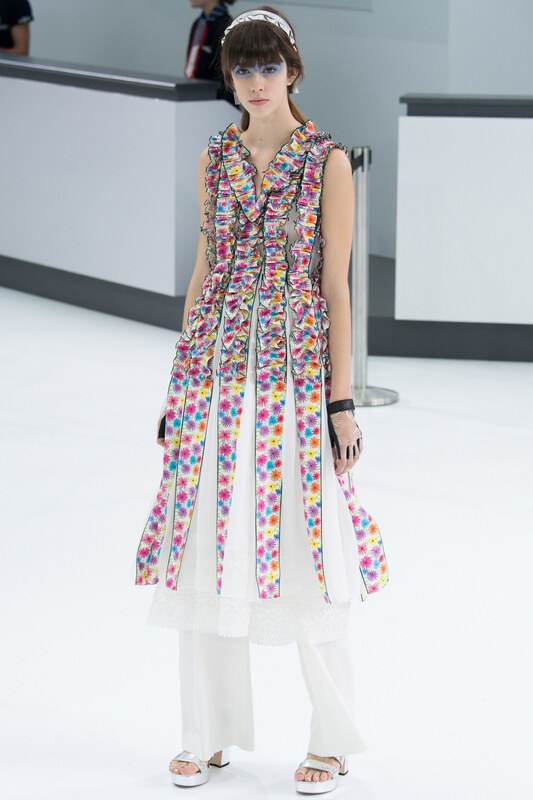 Just add a colorful chiffon scarf. 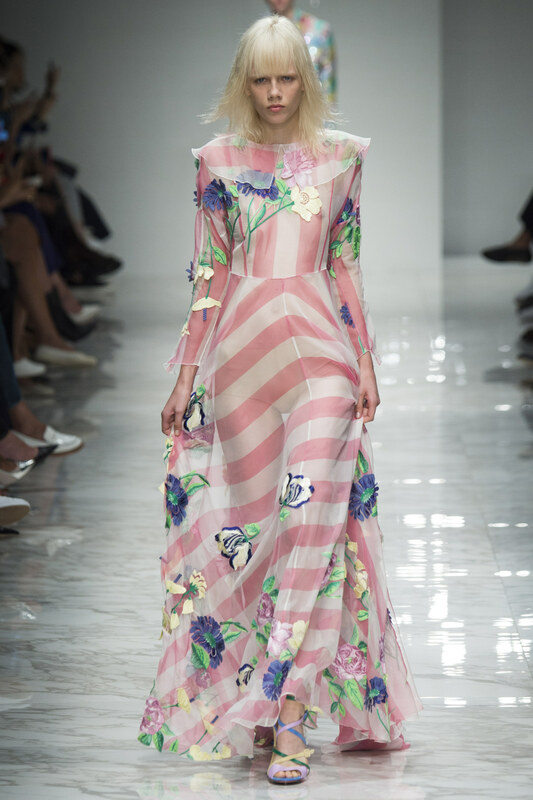 Another blisteringly gorgeous collection, thank you Reem Acra. Latter day Scheherazade. Spring will be here momentito! Photo of Phil from the internet.